There are 3 bedrooms and 1 bathroom in the lower unit. 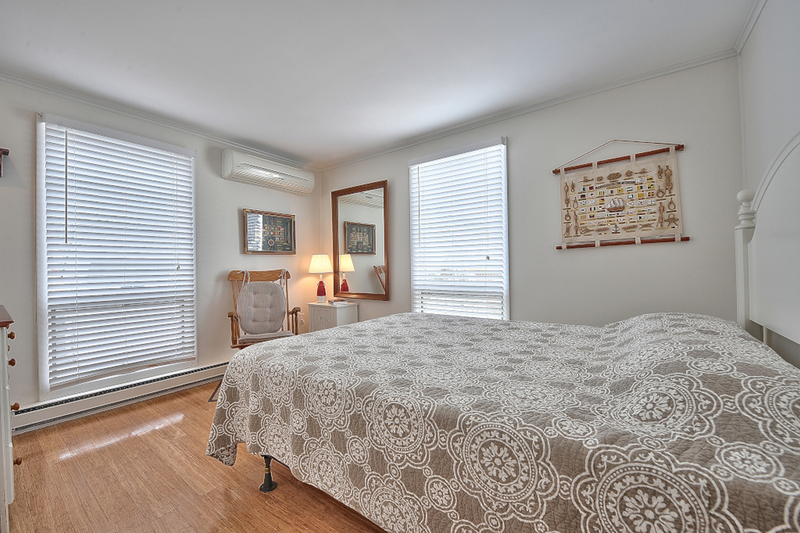 The lower unit features one bedroom with a queen sized bed, and 2 bedrooms each with 2 twin beds. The living room has a 42′ flat panel TV with DVD player. Bamboo hardwood floors are throughout the home. There is a fully equipped eat-in kitchen and a dining deck off the living room. There is an outdoor shower and a patio in the back yard with a large gas grill. The downstairs has ductless air conditioning units in the living room and all of the bedrooms which cool the entire floor. Scroll down to see photos, floorplans and all the amenities. ** May be subject to NJ Sales & Occupancy Taxes.